I’ve got a quick recipe for you this week as I’m running around the UK visiting family. I haven’t been cooking for myself much lately (which has actually been a really lovely change!) and am missing being in my kitchen. 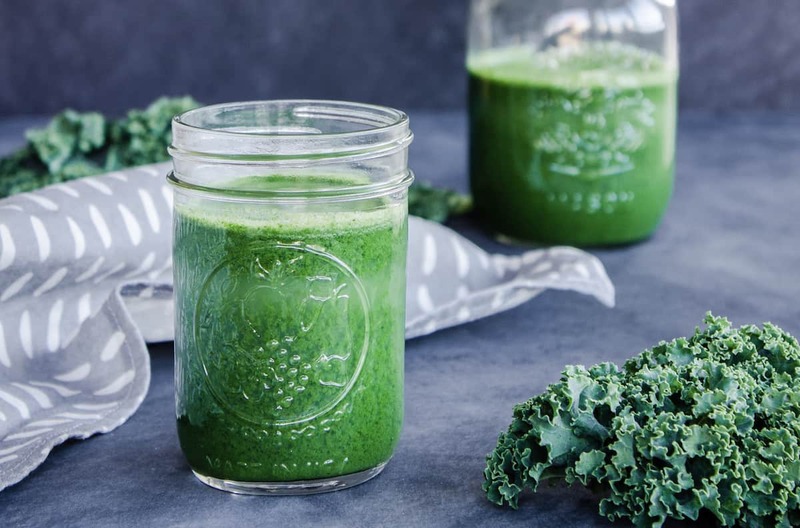 This Cleansing Green Juice recipe is one I’ve used for a long time and is my go-to when I want to make something green and nourishing for my body. I’m not a regular juicer, but I do really enjoy having it now and again. Call me crazy, but I find it so satisfying drinking liquid that’s a deep green colour! Green juice is great as it’s a fast way to get nutrients into your body. I don’t use it to replace eating fruits and veggies, as juice doesn’t contain the fibre that you get from eating plants in their whole form. Nonetheless, it’s a great addition and drinking juice gives your body a boost! If you haven’t juiced before, it’s really easy! Just follow your juicer’s instructions. 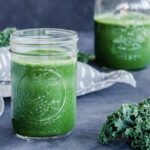 The one piece of advice I would give however is to use a masticating or cold press juicer for this Cleansing Green Juice recipe. Centrifugal juicers struggle to handle things like celery and leafy greens, so if this is the model you have try cutting up the kale and celery into really small pieces before juicing. This should help the machine process them. Juice all ingredients in a masticating or cold press juicer, and drink straight away! You can try making this juice in a centrifugal juicer, but it may struggle with the kale and celery, depending on the juicer. Making this type of juice tends to be easier with masticating or cold press juicers, which are better able to handle tough, fibrous vegetables.